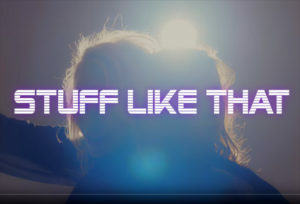 STUFF LIKE THAT – WATCH THE NEW BANANARAMA VIDEO! For Stuff Like That, Sara & Keren have reunited with their long-time music video director Andy Morahan who worked with them on the seminal videos for I Heard A Rumour, I Can’t Help It, Love In The First Degree, I Want You Back and Nathan Jones. “It was fate bumping into Andy on the very day we were having a meeting to discuss who we would make the video with. Having worked with him so many times before he feels like part of the family and we had such a great time filming. It was the most chilled fun video we’ve ever made”.